Dyer Oil Graphics offers such a wide array of services, it is often difficult to explain to people exactly what all we do. To help with that, here are a few case studies to show you the different levels of service we have provided to our clients. For some of these clients, we created their logos and have completed dozens of projects for them saving them countless hours of time and lots of headaches. Others had a single specific problem that we were able to solve for them. Please take a look at these case studies and let us know how we can help make your job easier. Boxer House Brewery • Pristine Pools • R.E.A.C.T. Boxer House Brewery is a home brewer who turned his hobby into a passion. He also happens to be a volunteer firefighter and owns two boxers. Although fairly new to the brewing scene, they still wanted to up their game at competitions while looking the part of a professional brewer. 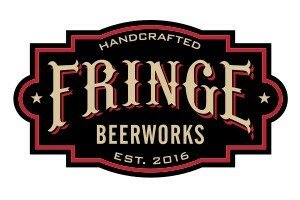 We were able to seamlessly blend their two passions together with a unique and memorable logo. We developed both a full color and black and white version. Boxer House Brewery logo looks perfect on everything. 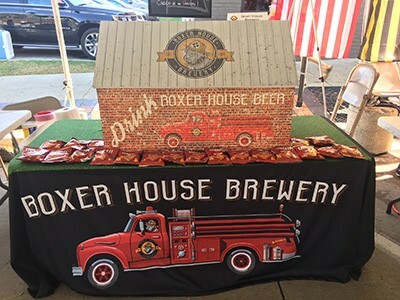 We designed their competition display table that included a table cover and a one of a kind jockey box that looks like a firehouse. Stickers were designed so they could hand them out at tasting events. Pint and taster glasses were also made to show off the logo. 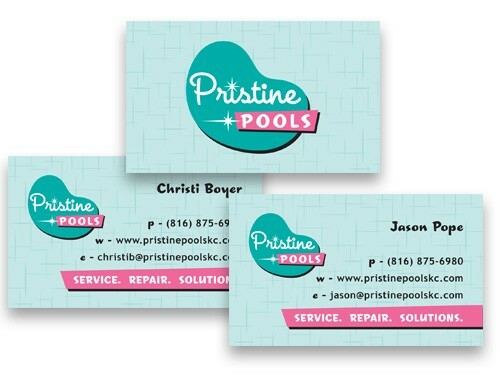 Pristine Pools is a small company that services and maintains pools for both residential and business. The company is new, but they have 20+ years experience. They always imagined themselves working on pools in paradise someday. 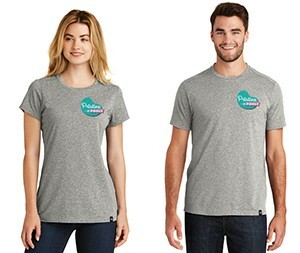 They were needing a logo and cohesive branding that they could use on flyers, t-shirts, car magnets, business cards, etc. We started with the logo design that had a clean, fresh yet retro feel using cool blues and greens. They loved the logo and so we proceeded with business cards, t-shirts and a magnet for the work truck. 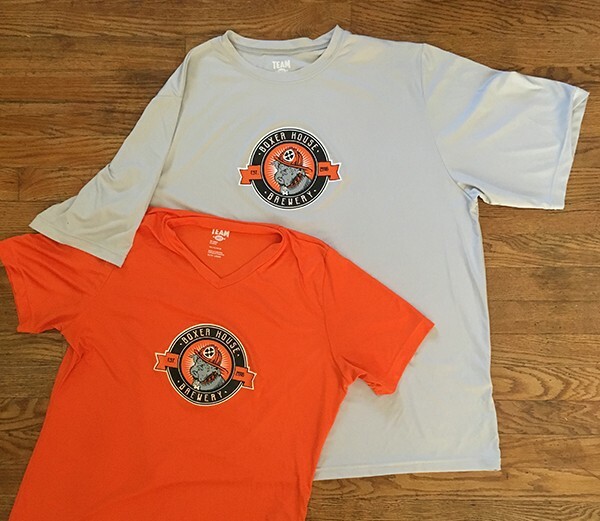 They get compliments on their logo all the time, and we are so pleased with how everything turned out. R.E.A.C.T. (Respond. Evade. Anticipate. 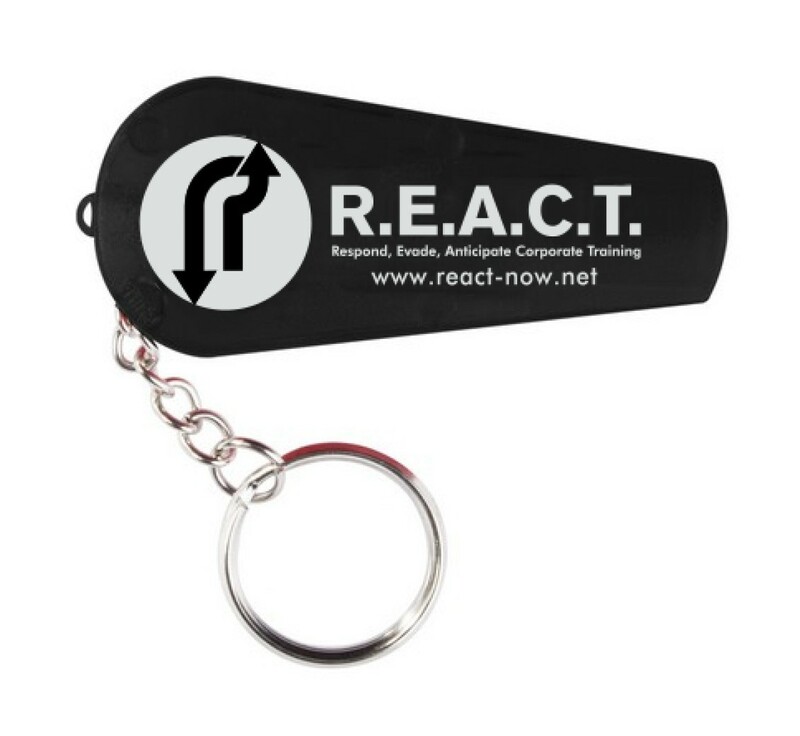 Corporate Training) has created a new approach to self defense. R.E.A.C.T. needed a full branding package and materials to present their new training at different conventions. We created a logo for R.E.A.C.T. and then used the new logo across multiple products, including creating a full trade show display for them. 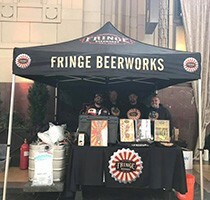 The trade show set up has been a huge success, giving them a professional display that has help them gain several invitations to pitch to NFL teams. 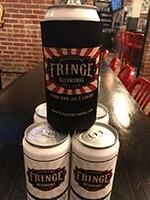 The first brewery in Downtown Lee's Summit, Fringe has been a ground breaker since they opened in 2016. Woods Smoked Meats is an international award winning meat processing plant in Bowling Green, MO. Frankie's is a great street taco and wing place in downtown Lee's Summit. Fantastic food and one of our favorite local spots.